The “Neve Or” AIDS Treatment and Research Center is the biggest center for HIV carriers in the entire country. The center has successfully assisted in the birth of healthy babies of HIV-carrying parents and sick parents. In addition to medical care, the center also offers additional services such as support and guidance, dental procedures for AIDS patients, psychological support, nutrition guidance, and medication monitoring. Scientists may be closer to a breakthrough HIV cure thanks to a new drug called “Gammora.” Based on preliminary testing at the Neve Or AIDS Clinic at the Kaplan Medical Center, this new drug has been shown in a lab setting to make the HIV cells self destruct. This is opposed to current drugs that only suppress the viral load. 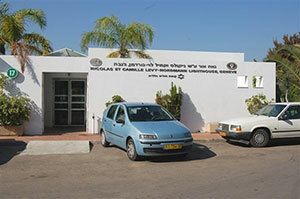 It is the largest AIDS clinic in Israel. Some 1,000 patients are presently followed and treated. Our patient population is essentially of Ethiopian origin, reflecting the African epidemy. This population presents particular aspects of the disease, virological as well as cultural and social. Consequently we follow a relatively large number of women, part of them being pregnant and a relatively large number of children infected with HIV as compared to other clinics in Israel. We spend particular efforts in administering optimal and up to date treatment to our HIV-infected children. These efforts lead to a clear diminution of the hospitalization rate of the children and almost normal quality of life.